When an aggressive investigation results in the unjust and “reckless” conviction and incarceration of six people who are later proven innocent, who, besides those imprisoned, should be expected to pay the price? Who are the authorizing and enabling parties? These questions are the ones being raised in Gage County, Nebraska, a small community immediately south of Lincoln. In 1985, Helen Wilson, a 77-year-old woman, was found in her apartment in Beatrice, the seat of Gage County, having been murdered, beaten, and raped. Four years later, six people were imprisoned. Of this “Beatrice 6,” five chose to plead guilty or no contest to the crime, and the last was found guilty in a trial, although he continued to insist on his innocence. It turns out he was right; the convictions were based on an investigation by a former Beatrice police officer who had made the case something of a cause célèbre. Even after he left the force, Burdette Searcey was mounting a private investigation, and brought that with him when he was hired as a Gage County sheriff’s deputy. Today, in 2019, the Beatrice 6 are owed $28 million as a result of a lawsuit. They were exonerated following a DNA test in 2008 that proved another man’s guilt. The consequences of Searcey’s actions fell on people living marginalized lives. Prosecutors relied on confessions, opting not to run DNA tests deemed too expensive. The judgment says the Beatrice 6 are owed something for being falsely imprisoned by what was deemed a “reckless investigation.” But Gage County claims not to be able to pay the amount awarded, and the county’s insurance company will not pick up the tab, so it falls to the residents of the county to fund it. “They knew too much about it to be innocent,” Karen Probst said one afternoon as she chatted with customers inside her family’s quilting store. Her family owns hundreds of acres of precious irrigated land outside Beatrice, with tax bills that she said were likely to increase by $10,000 or more. Then there is the fact that, as Healy explains, “Gage County spent a decade and nearly $2 million in legal fees fighting the suit, rejecting offers to settle for $15 million, before its final appeals were rejected by the United States Supreme Court early [last] month.” Gage County’s elected representatives chose to gamble that they could get a court to absolve them of responsibility—and instead ended up with a bill that is twice as high. Of course, assessments of responsibility are tricky. Shouldn’t Searcey, the sheriff deputy, also bear some responsibility? The Beatrice 6 paid with a cumulative total of more than 70 years of their lives. 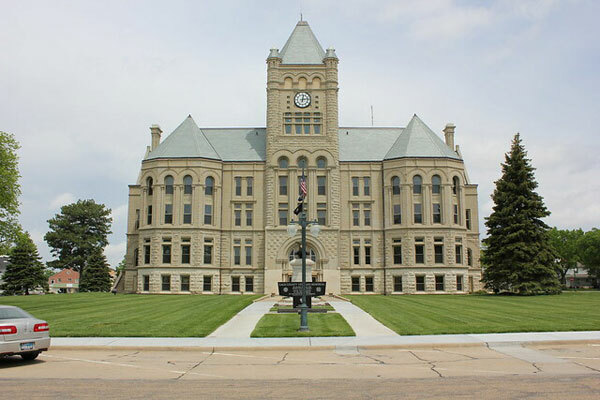 The residents of Gage County are paying with an increased tax assessment. Where is Searcey in all of this? He is still alive, but refused to respond to recent questioning by a New York Times reporter. The one message of value that may be sent to residents is that it is in their names that public agencies function, and failing to ensure their integrity and accountability can be costly. The county wants the state to share the cost though and repeated efforts have been made to legislate that. On Thursday, the U.S. Supreme Court found that a state supreme court justice violated a defendant’s due process rights when he did not recuse himself from a case he had overseen as a district attorney thirty years prior.